Having read hundreds of business books and blogs, it amazed me that the majority were geared towards Silicon Valley, the last American frontier of the business world, as some called it. What about the rest of us? There are 28 million small business in the US. Approximately 540 thousand new businesses are created EVERY Month and a high percentage are not technology based. Yes, there are leadership books, and large company management blogs. But what about all the other companies that start out in the dark that don’t have the initial resources. This is not a VC funding business blog, or a high tech develop an app blog, or make your product and sell to Google or Facebook blog. This is something completely different. In this blog, I will give you real examples of successes and failures so that you can emulate and avoid to make your business great. This will give you an idea of the highs and lows that you will go on throughout your lonely entrepreneurship ride…. YES get USED TO IT… Make no bones about it, IT IS LONELY. Eventually all roads lead back to YOU regardless of the decisions that your team, and associates make. First, you need to answer some questions: why are you doing this? Are you sure? Are you really sure? Are you doing it for the right reason? First, you need to answer some questions: why are you doing this? Are you sure? Are you really sure? Are you doing it for the right reason? Do you want your company to be great? What are you satisfied with? Why now? Why do you want to start a business? Is the concept scalable? What is scalable? Are you just starting a business to have a job? Is your constitution ready for this? So many questions along with an incredible amount of reasons that people every day start a business. I hope to help facilitate the process of turning an idea to a fully functioning profitable business. Do you have a concept that you believe can fill a void in the marketplace? If the answer is yes… how do you know for sure? Are there other businesses that are in this space? Does your product or service deliver something that is proprietary? These are all great questions that can better help you understand what work needs to be done or already has been done. My first recommendation is to get into a business that you know inside and out. This will start you off as an expert in the field as well as ramp up your learning curve. You already know what works and what doesn’t work in the business. You are well ahead of the curve if you decided to enter into your familiar field. This will mitigate many of pitfalls that you will make throughout your journey. Being your own boss one is of the biggest reasons why people start their own business. Being your own boss is one of the biggest reasons why people start their own business. Get this out of your head. Once you commit to starting this incredible venture you will soon realize that this is quite the opposite. Everyone is your boss. You are constantly working on your customers’ behalf in delivering the best product, service to them within your startup constraints. While most of the employees don’t see it this way, you are working for them 100% of the time. Everything that you are doing is trying to make the company run more effectively, become more profitable, thus a more stable place of employment. Keep in mind 80% of all businesses fail in the first 18 months. How can you become part of the 20%? Did I fail in business… you bet I did…and good. With all my failures in business, I continued to grow and fully understand what it takes to bootstrap a business and make it grow. Each time I failed forward. While they were all disappointments each taught me valuable lessons that I will share with you. My first business venture, a golf guide, lasted around one year. This was a golfer’s guide to play golf courses along with reviews. We were selling advertising space to a niche market. My second business venture, lasted roughly 1.5 years. We were looking to purchase distressed golf courses and turn them around to profitability. My third business was sports media company focusing in on the golf industry and selling advertising space on a variety of platforms, website, tv, radio, internet, and email. My fourth business was a sports marketing firm adding the full scope of the web platform to deliver to golf and country clubs. Again another learning opportunity. Each of these ventures produced amazing learning opportunities to better prepare me for a successful launch and maintain. Looking back at each of the beginnings there were many questions that needed to be answered yet I moved past. There is so much to learn in running your business, rather than working for a business. There is so much to learn in running your business, rather than working for a business. I hope you learn from my mistakes on running and owning a business, and use this blog to help steer you in the right direction or at the very least make you think of alternatives. Remember every problem has a solution. As the business owner, most days it is your job to find the solution.  Want to learn more about Up to Par? Complete the form below and we’ll be in touch.